We just made a batch of signs we are pretty excited about - with new Coroplast colors, new ink colors, new tag line. Each sign is slightly different from one another. If you have an interest in getting your own, please get in touch with us. 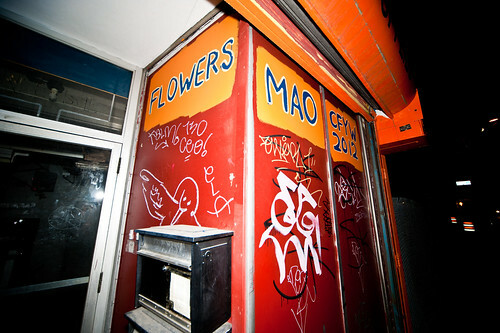 As our store ends its run on Cambridge Street, we are planning two events that will send it off with a bang. 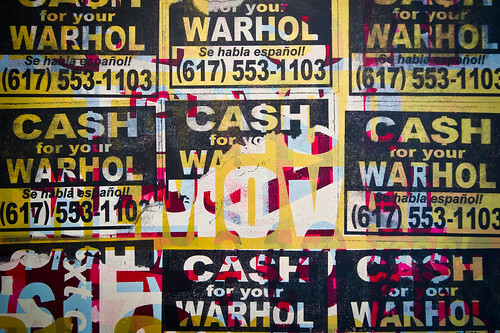 Saturday, February 20, 4 til 6pm: sign painting featuring artist Kenji Nakayama. Thursday, February 25, 6 til 8pm: EVERYTHING MUST GO! That includes a newly released print based on one of the pieces in the store. We will also have refreshments and goodies so enticing I'm not going to mention them here for fear of having our store overrun. We will be having our grand opening on Sunday, January 10, from 4 until 7pm. There will be fresh CFYW schwag and a performance by Gene Shinozaki. The store will be open through February. We hope you will come by and see us! We are pleased to announce we will be opening a storefront in Cambridge in early 2016. Stay tuned here for details. Hey, kids, it's been a while since we shared what's been going on. Sorry about that! But we've been getting ready for an exhibit at LMNL Gallery, 1526 Frankford Avenue, Philadelphia, and it opens on Friday, April 10. There will be a public reception from 6 to 9pm. If you are in the neighborhood, we are going to make it worth your while to come over and see us. There is all sorts of special stuff happening at the opening, including a music mix that includes a number of voicemail messages we've gotten. New prints, photographs, audio, and paintings - it'll all be there. Our newest print will available at noon on Thursday, January 29, from the good folks at 1xRUN. It is a 24 in x 18 in, 4 color silkscreen. The paperstock is French Paper Co., 100lb cover Sweet Tooth. Printed by Weinberg Design in Somerville USA! We are giving away some stuff. Why? Just because. But also to begin to draw your attention to our upcoming show at Gallery Kayafas in January, where there will be all sorts of new stuff. More on that later. The giveaway is a print of the photo you see above, taken recently in Coachella, CA, and one of the signs that's in the photo. (We are unable to include the train at this time.) The winner will be drawn at random on our Facebook page. Go there for details. Good luck! New stickers are on the way! Thanks to everyone who has requested stickers and has been patient with us. We just ordered a brand new design, and will have plenty for everyone - and for the Miami art fairs! If you haven't ordered yours yet, you may send in a request here. We'll get them out as soon as we get them. We are pleased to be presenting our project to the art class at Woodland Christian School today. We had been invited by Dave Hargadon, and we will announce a sticker contest for all at the school to take part in. The best sticker design that pays tribute to the Boston bombings last week will be awarded the production of 1,000 stickers. We are pleased to announce our work will be in display at the Dallas Art Fair through Sunday, April 14. Stop by the booth and say to the folks at Charles Bank Gallery - there is some new CFYW stuff there, plus a couple of kickass paintings by Ben Eine. Thanks to The Harvard Crimson for the nice story on our project. "Tall and thin!" We have NOT been arrested! We will be landing in Miami on Monday, armed with new signs, screen prints, street posters, and stickers. Call it an invasion...call it a surge...either way we are doing to be all over the place. Our home base will be J. Riggs Fine Art, North Miami Ave, in the Wynwood Arts District. They will have a new set of collectibles, in case you are interested, and a number of other artists showing new work. 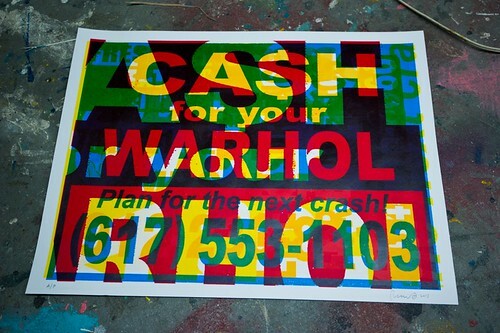 For other CFYW action, follow us on Twitter: @cash4yourwarhol, and maybe we can meet up for a mojito! BTW, we took our new sign out for a test drive around the neighborhood, and we think it works. 'Hope you like it! Thanks to everyone for the continued interst in our stickers. We are ordering up a new batch, and will fill all previous orders as soon as we get them in. We have many far-flung collaborators. 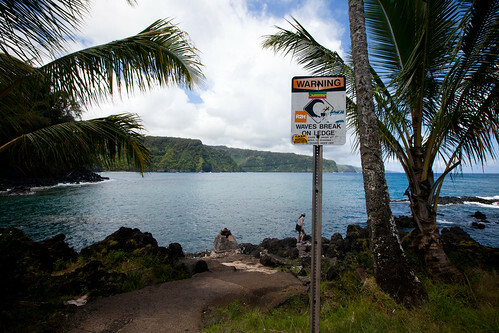 Last week one of them visited the great island of Maui, where "the beaches were beautiful and the food was expensive." Neither kept us from getting the word out in the 808. Here is a shot from Nua'ailua Bay, forwarded by photographer Remi Thornton. Visit his web site and check out some of his other work in Hawaii. 'Hope you like it, and that you come and see us at the first opening. (*) Not even sure what that means. We are pleased to anounce the release of our 5th billboard. This one is located on Fan Pier, near (but unrelated to) the ICA. It will run through mid-September. Stop by and have a look on your way to the Os Gemeos show. We also had a nice visit with Anne Mostue from WGBH, Boston, who reported on the project and the billboard itself. You can listen to the story here. 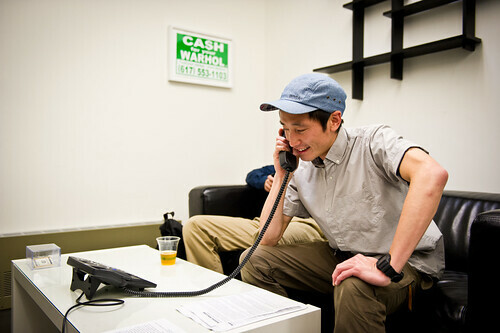 One of our favorite artists, Kenji Nakayama, tunes in to our listening post at the CIC. The installation includes 164 of our favorite messages received during the past couple of years, played randomly. We also designed a new sign, which you can see in the background. FAQ: "Did you know the print is slightly tilted?" A: "Yes." New signs. New ways to see them. There are a couple of things coming up this week, so we thought we would reach out to everyone with a quick note. 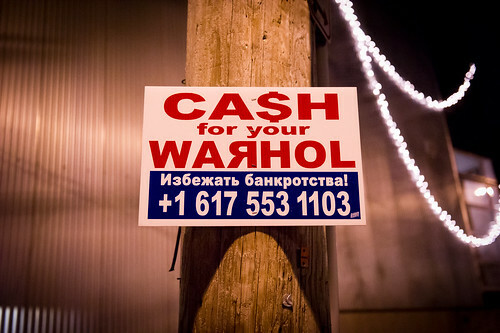 Our newest sign previewed earlier tonight in NYC at the ACRIA's UNFRAMED 2012. Curated by Michael Cunningham and Margaret Russell, Editor in Chief at Architectural Digest. The main event will be held tomorrow night, WED June 6, at 400 Fifth Avenue, 36th floor Penthouse. Probably worth going just to see what the PHs at the Setai look like, if you haven't been, but there is also a bunch of art at good values: ACRIA asks the artists to create unique work for the benefit that can be offered at discount prices (so they can sell a bunch). 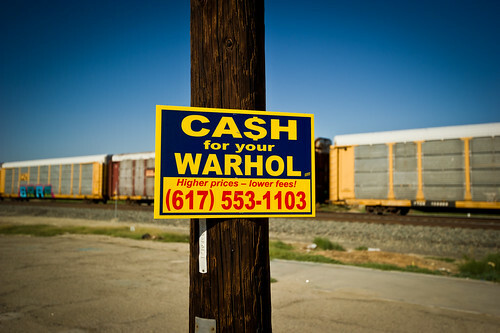 The list of artists includes Richard Serra, Jeff Koons, Dzine, Assume Vivid Astro Focus, Ed Ruscha, and tons more. CFYW will have a new sign, edition of 30, and an aluminum plaque, edition of 1. For more information on the event, contact Scott Drevnig. 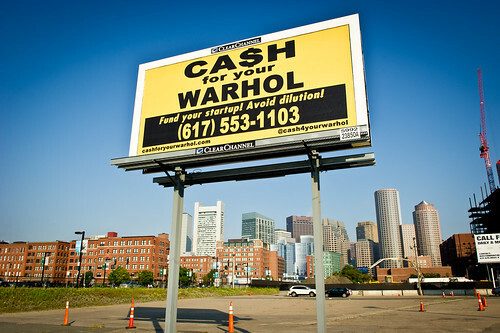 Then back closer to home, we will be releasing another new sign on Friday at "Making Dollars," a group show at the Cambridge Innovation Center, Cambridge MA. 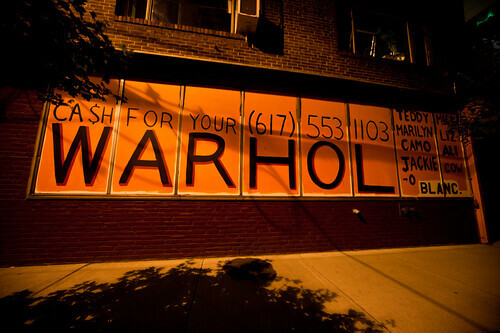 Curated by Kristen Wawruck (NYC/Boston), it will include about a dozen artists. In addition to our new sign (edition of 10), we will have a listening post where you can hear 164 of our favorite messages from the past couple of years. Think "Best of CFYW" without commercial interruption. If you can't wait to see what the new signs look like, we have posted photos of them elsewhere on this site. There are some other things coming up - we'll keep you posted. In the meantime, we are getting caught up with sticker requests - sorry for the delay, it's been more hectic than usual for our Sticker Department. You will all have yours soon! And thanks to everyone who came out to artMRKT San Francisco a couple of weeks ago! "I got really interested in graffiti and one day i looked up graffiti stickers and you guys were all over and i thought your stickers were pretty cool." Keep the requests coming - maybe we'll post your comments here as well.